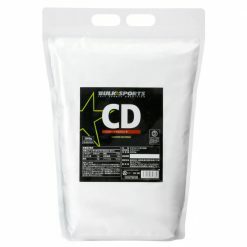 Raw materials used in Bulk Sports CD are referred to as cluster dextrin (CD), which is a registered trademark of Ezaki Glico. 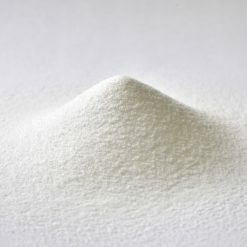 CD is a highly branched cyclic dextrin produced by Ezaki Glico’s unique enzymatic technology. Can be taken before or during the workout. Bulk Sports CD can be taken as a pre-workout supplement, or as energy drink during the workout. It is very easy to dissolve in water to produce a tonic drink that is excellent for maintaining water and energy supply during a workout. There are no added sweeteners in this product. Carbohydrate designed to boost performance. Bulk Sports CD is excellent in enhancing peak performance during a workout. It acts like glucose in that it boosts performance endurance, but the major difference is that it does not cause blood sugar and insulin levels to increase. In addition, CD beverages do not interfere with performance because they do not cause bloating or discomfort. This is due to the low osmotic pressure of CD drinks, compared to traditional glucose-based energy drinks, causing the flow velocity from the stomach to the intestine is very high. Mix 1 scoop (22g) with 200-240mL of water or the beverage of your choice such as a protein shake. Keep tightly sealed after opening and use as soon as possible prior to expiration date. We recommend that you use as a nutritious supplement before or during exercise.